To view heat sheets, results, and team standings, click here. 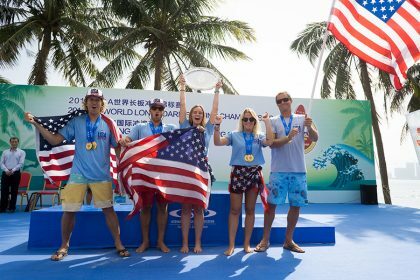 Team USA moved into pole position on the penultimate day of competition at the 2018 ISA World Longboard Surfing Championship. Despite losing Kevin Skvarna and Tony Silvagni to the Repechage Rounds, both surfers were able to regain their composure and advance in the competition, making USA the last team to have all four competitors remaining in the event. Trailing Team USA by 410 potential points is Team Australia, who lost a step on USA after Declan Wyton’s elimination from the event. Team England currently sits in third position and Team Hawaii, even with only having fielded three of a possible four competitors in the event, currently holds the Copper Medal position. Putting on a particularly impressive performance this week has been England’s Ben Howey, who has continued to surprise some of the world’s best longboarders and make the Main Event Final. “I can’t believe that I’ve advanced to the Main Event Final,” said Ben Howey of Team England. “My goal coming into the event was only to not get knocked out in the first round. The penultimate day of competition at Riyue Bay kicked off with a building swell in the knee to waist high range. The world’s best longboarders dropped a flurry of scores in the excellent range, demonstrating the high level of talent present at the event. Between eighteen wave scores reaching the excellent 8+ point range during Wednesday’s competition, Hawaii’s Kai Sallas shined through with the highest scored wave of with 9.67. Sallas’ dominant performance was necessary to keep Team Hawaii in the team points race, given that they are at a disadvantage with only three of a maximum four surfers in the event. Hawaii’s Honolua Blomfield and Kelis Kaleopaa both complemented Sallas’ top performance and advanced through the day as well, keeping Hawaii’s hopes of a podium finish alive. A key moment for Team USA occurred during the Men’s Repehcage Round 5. USA’s Tony Silvagni did not have the necessary score to advance, however, Peru’s Lucas Garrido committed a costly mistake while paddling back out to the lineup and interfered with Australia’s William Crowe, resulting in his second highest score being halved. The error allowed Silvagni to advance through and keep USA’s position atop the leaderboard. In the Women’s Repechage Round 3 China’s Guo Shujuan bowed out of the competition, ending her historic run in the event. 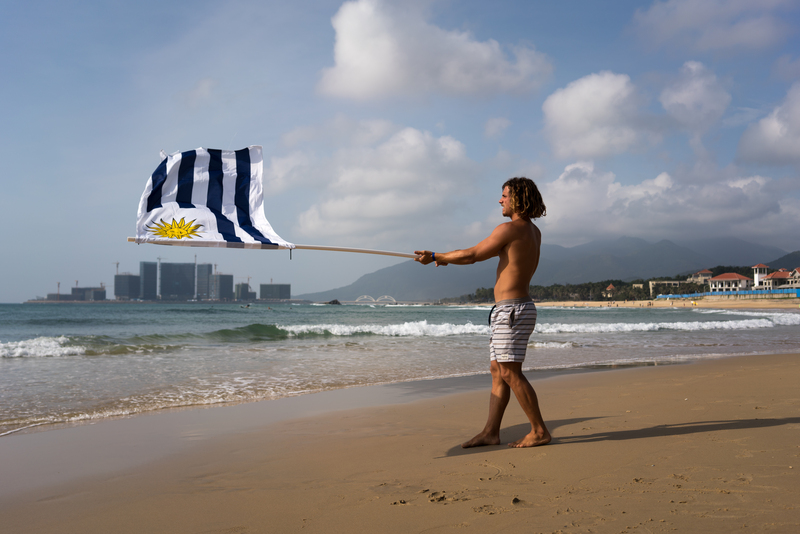 Earlier in the week, Shujuan became the first Chinese competitor to ever win a heat in a major ISA event. “I’ve learned so much from this competition,” said Shujuan. “I’ve been paying attention to the skills, maneuvers, and techniques of the world’s best longboarders. “We’ve finally arrived at the moment we’ve been waiting for – the final day of competition at the 2018 ISA World Longboard Surfing Championship. We’ve witnessed an incredible display of elegant, elite longboarding this week and tomorrow the world’s best will rise to the top and forever etch their names in history as the first longboarders to be crowned ISA Champions in China. 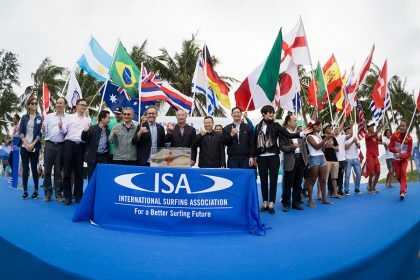 The 2018 ISA World Longboard Surfing Championship will be streamed live on www.isaworlds.com from January 19-25.